There are few places in Bricktown that offer an intimate live music performance in a trendy lounge setting. 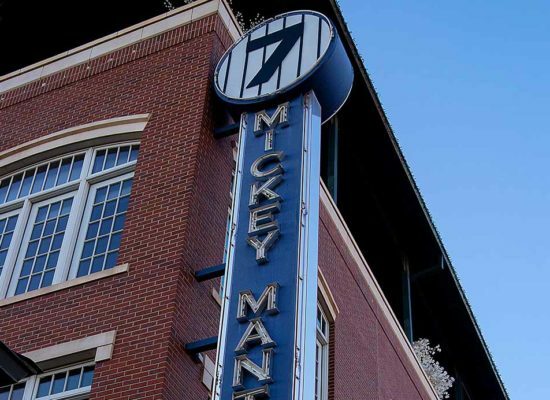 Mickey Mantle’s has been a part of giving artists a stage and an audience in Bricktown for years. Each weekend, we bring incredible local and regional talent to the stage in our #7 Lounge. If you haven’t been to our lounge on a Friday or Saturday night to enjoy incredible hand-crafted cocktails or fabulous food, you don’t want to miss it. Every Week | Most Fridays and Saturdays | 7 – 11 p.m.
Our musical acts range from poppy jazz to country, folk, and bluegrass ensembles. All musical tastes are given equal love and respect in the #7 Lounge. Some of our regular performers include local and regional acts you may have seen, such as Stars, the Elizabeth Speegle Band, and Drive. Stars are Oklahoma natives, and focus on dance hits from the 60’s all the way through modern top 40 hits. 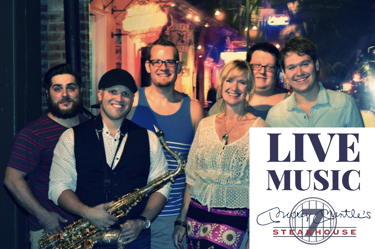 The Elizabeth Speegle Band is the epitome of classic lounge vibes. Pop and blues fuse together with jazz, and Elizabeth’s soulful vocals carry each song perfectly. Drive is another high-energy group of performers from right here in Oklahoma City. They bring an intriguing blend of pop and rock hits from the decades to our lounge. Drive knows how to entertain, and are always a blast to have as guests in our lounge. 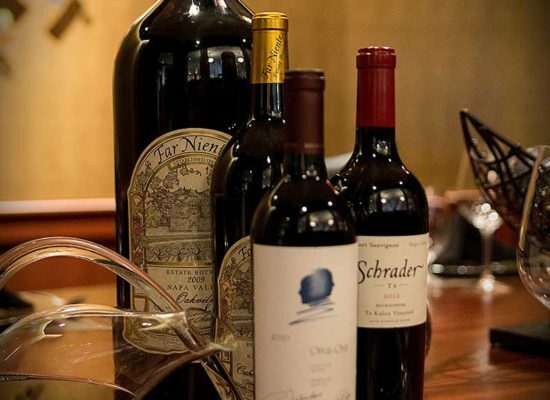 You can enjoy our lounge performances alongside one of the most awarded and expansive wine lists in the state, as well as a lengthy scotch and whiskey menu! We also offer a wide variety of cocktails crafted by our expert bartenders. A few of our fan-favorite cocktails are the Godfather and Watermelon Cooler, which offer the perfect escape from a basic drink. We also offer nearly 100 different bottles of scotch and whiskey from around the world, as well as a variety of premium cigars. You can settle in with a stogie and flight of whiskey to enjoy as one of our local or regional bands perform. Our selection of high-end drinks and food pair perfectly alongside a night of being serenaded in the lounge. The Mickey Mantle’s #7 Lounge is a luxurious and dark space and makes for an ideal setting for live music. Enjoy a fine cigar with your drinks and cozy up in one of our leather booths while you enjoy our special musical guests each week. 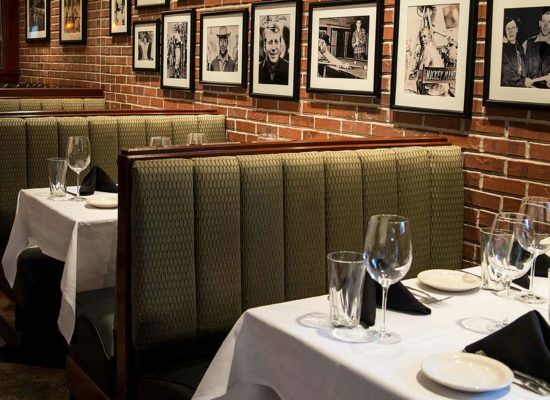 It’s an intimate experience unlike anything else you’ll find in Bricktown. Our bands are generally booked up to a month in advance, so check the events calendar page regularly to see if an artist or group piques your interest. In addition to the regular staple performers above, we have other special guests throughout the year. 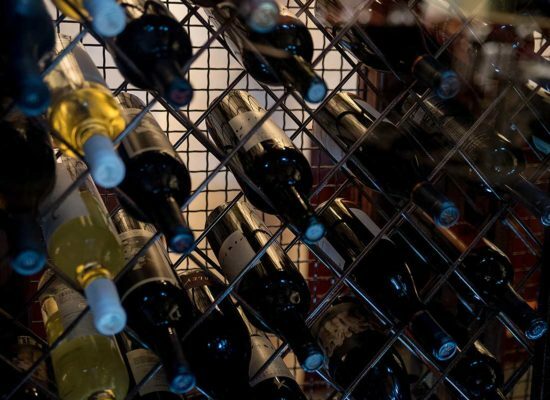 From our wine and cocktail selection to our unparalleled selection of wagyu beef, Mickey Mantle’s is all about providing the best atmosphere for date nights in the city. On the weekends, you can cap off your incredible Bricktown dinner with a smooth and sultry live music performance in our #7 Lounge. What’s not to love? Join us this weekend and partake in the true Mickey’s lounge experience.